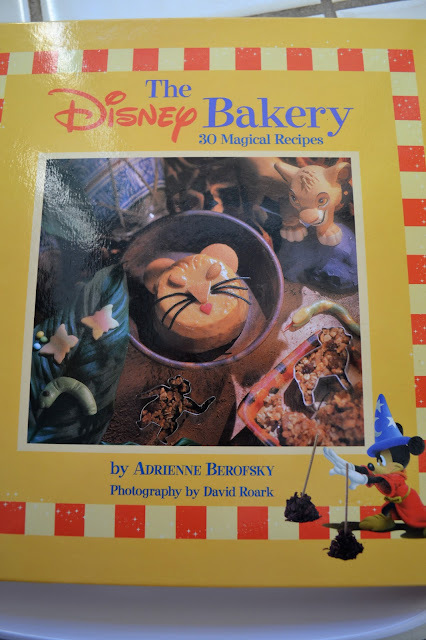 I have a Disney kids' cookbook that has been in my possession for a long time, possibly bought before I had my own children, I can't remember. I figured someday I would makes some fun things out of it with my kids. Well, the cookbook sat on the shelf for years and years until my 8 year old found it, poured over it's contents, and chose a recipe to try. 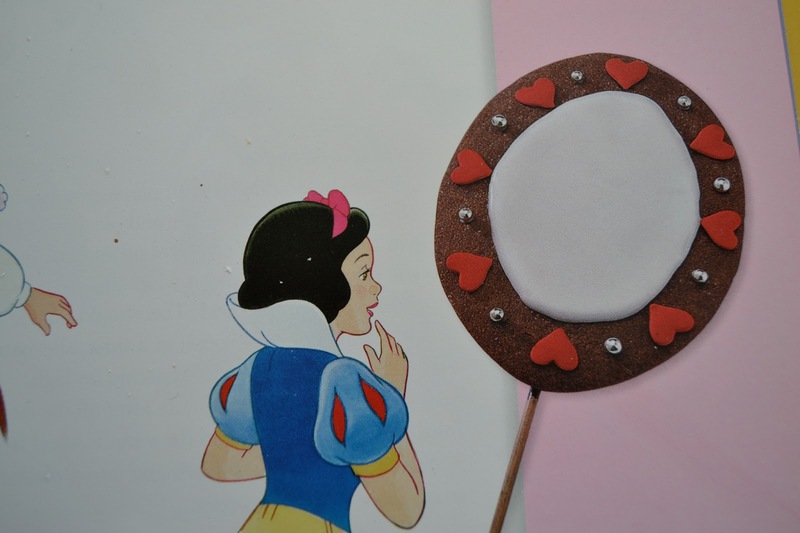 I have no idea why it was Snow White's Mirror Mirror cookies. I don't think he's even seen the Snow White movie. The closest thing we get to Princess movie watching over here is skipping to the action sequences in Tangled...my boys love Max the horse and the frying pan smacking. 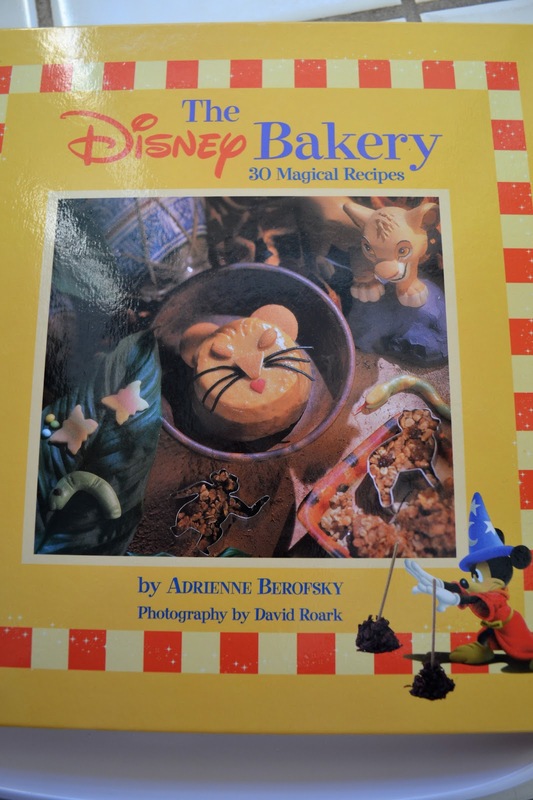 There were plenty of more boy friendly movies and recipes to try (Aladdin, 101 Dalmations, Bug's Life, etc) in the book. Anyway, he must have thought they looked yummy, because that's what we made last weekend. We didn't have red heart sprinkles or the little silver balls (do they even make those anymore? ), so we did the best we could with what we had on hand. My son's creations. 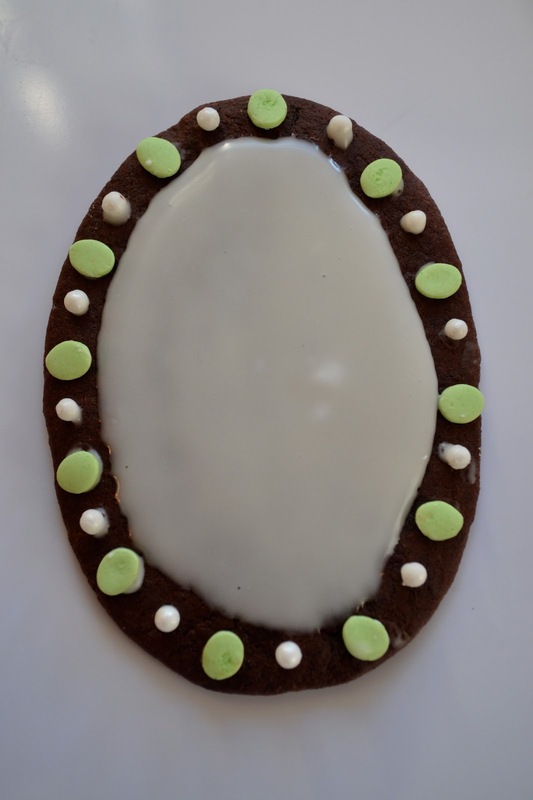 I think he got a little tired of the detail work around the mirror by that fourth cookie. Can't say that I blame him. They were a bit more work than my normal throw-everything-in-a-mixer-and-add-some-chocolate-chips cookies. Nothing we couldn't handle though. And may I just say, they were surprisingly delicious. The dough was really yummy and held it's shape well. 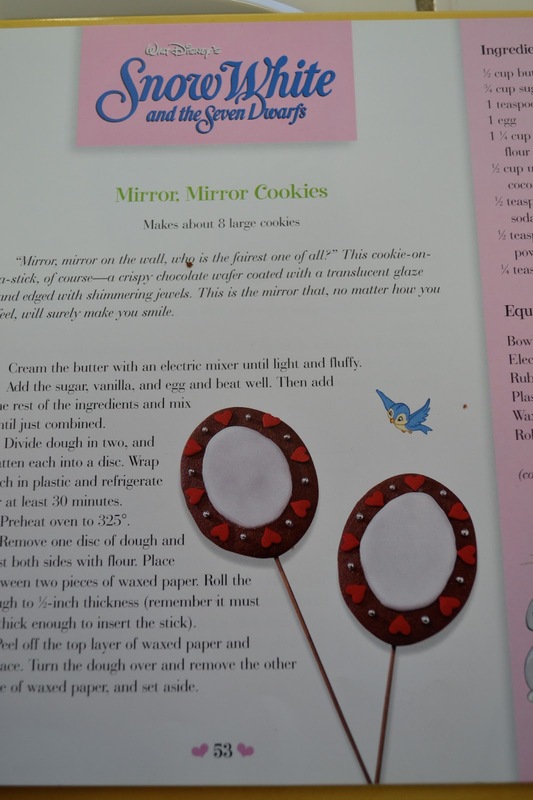 I will be using this recipe again for chocolate sugar cookies. 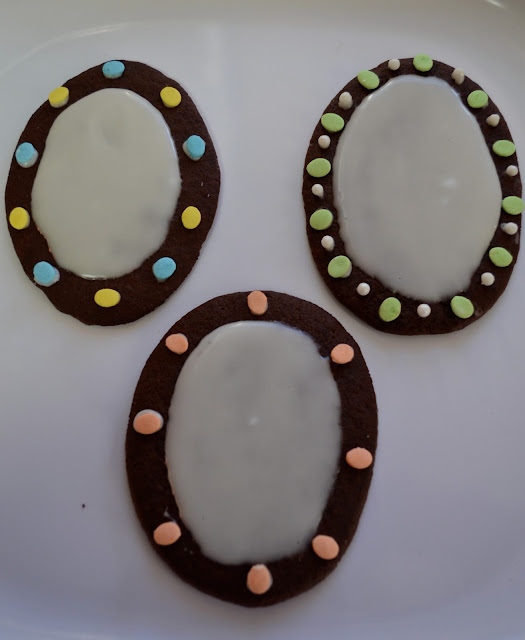 The frosting wasn't bad either, although I prefer royal icing for decorating. 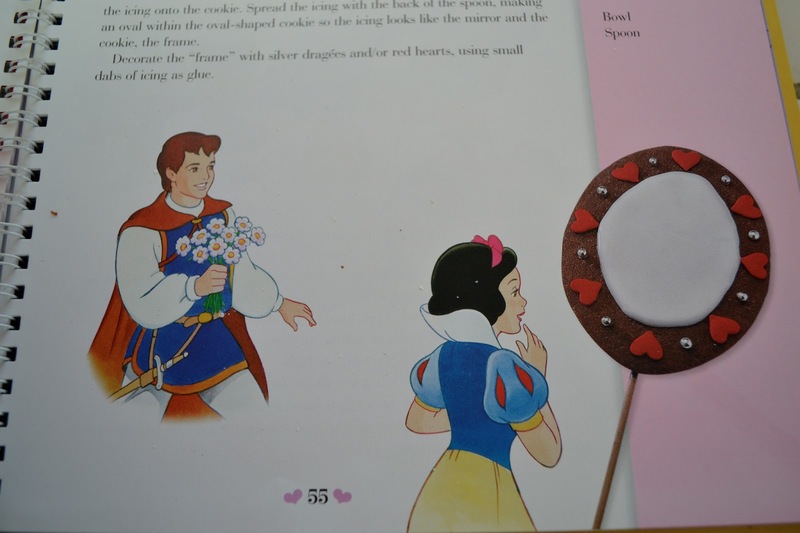 "Someday my prince will come...."
Here is the front cover of our cookbook. There are lots of fun recipes in there, most of them very easy to make. We also tried the "101 Dalmations" Kanine Krunchies (rice krispies treats in the shape of dog bones) a few days later. I forgot to take a picture, but they were a hit as well. You can pick up a copy of this cookbook HERE if you're interested. Happy baking with your kids!